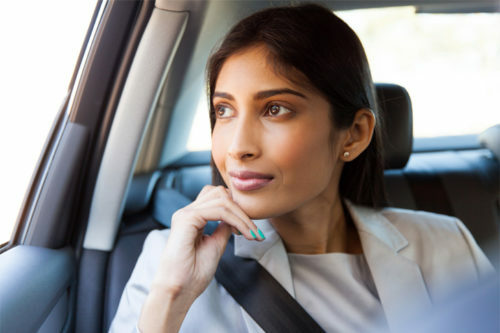 Is golf in India a recent phenomenon? Think again – the sport has in fact been played in the Subcontinent since the time of the British Raj. But while golf may have begun as a niche pursuit, these days its popularity is growing at a steady clip. If you’d like to practice your putt during your next getaway, the following four golf courses in India are utterly destination-worthy. From courses designed by legends of the sport to greens that feature Mughal ruins, they’re undoubtedly unlike anywhere else you’ve ever played. Located in Gurgaon, just outside of New Delhi, the ITC Grand Bharat isn’t just one of India’s premier luxury hotels – it’s also a world-class golf destination. Spread across 300 acres of rolling green, its course was designed by “The Golden Bear” Jack Nicklaus, commonly regarded as the greatest golfer of all time. It’s hard for any golf courses in India to boast more impressive accolades, and this one lives up to its name: on offer are an 18-hole Signature Championship Course and a 9-hole Signature Canyon Course, as well as a club house where guests can relax in the steam room and sauna, dine at the restaurant, and otherwise take in the scenery. 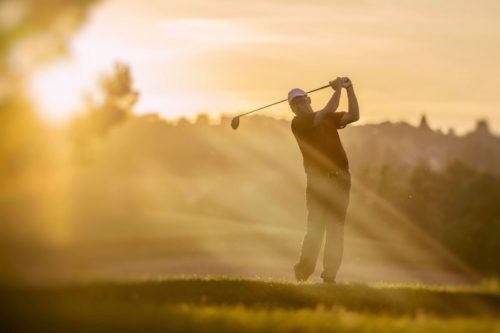 One of the country’s most prestigious golf clubs, the Delhi Golf Club – established in the 1930s and featuring a star-studded membership roster – occupies 180 acres of pristine, verdant turf in the heart of the city. Among the most prominent golf courses in India, the Delhi Golf Club’s 18-hole Lodhi Course is also a stop along the Asia PGA Tour. 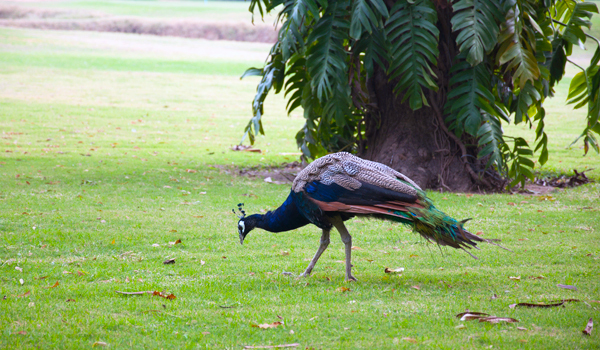 Golfers who are lucky enough to visit will have access to the Lodhi Course as well as the 9-hole Peacock Course (which is aptly named, as peacocks frequently roam the grounds). Players should also be sure to look out for the resplendent Mughal ruins on-site, including the beautiful, 17th century Lal Bangla tombs. 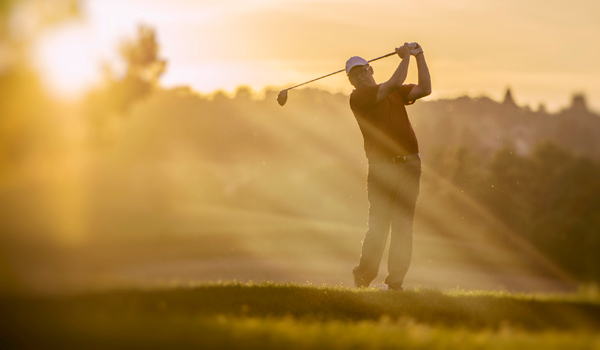 An important stop on the South Indian golfing scene, the Karnataka Golf Association – officially completed in 1989 – was designed with the input of British Open Winner Peter Thomson. The expertise shows: a 117-acre oasis, the sprawling course is comprised of beautiful fairways and greens, as well as numerous ponds. But don’t let its prettiness distract you: it also features a slope rating of 135, so even the most experienced of golfers will find themselves challenged. After a rousing 18 holes, it’s best to head to the Health Club for a restorative Ayurvedic massage. 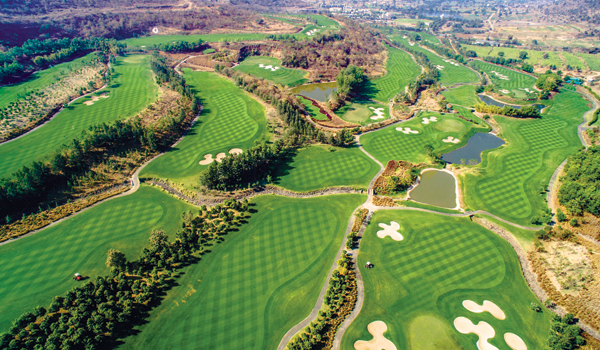 For an all-inclusive golfing getaway, it’s hard to do better than Pune’s Oxford Golf Resort. 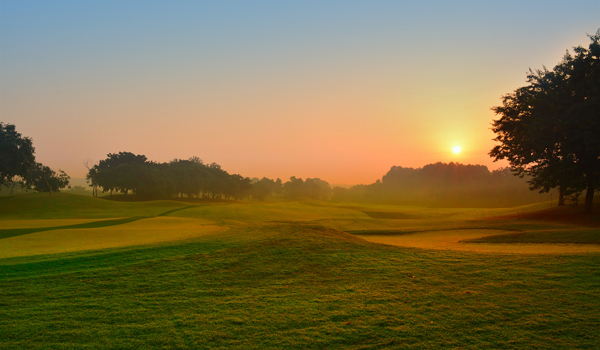 This resplendent, par 72 course ranks among the most beautiful and well maintained in India. Looking at its 136-acre terrain, it shows: flanked by the Western Ghats, it offers up impressive views as well as challenging play. Not yet a practiced golfer? The club also offers a training academy with a three-course driving range. After a busy day of practicing swings, guests can retire to one of the resort’s chalets, or indulge in a tipple at the venue’s Malt Bar.